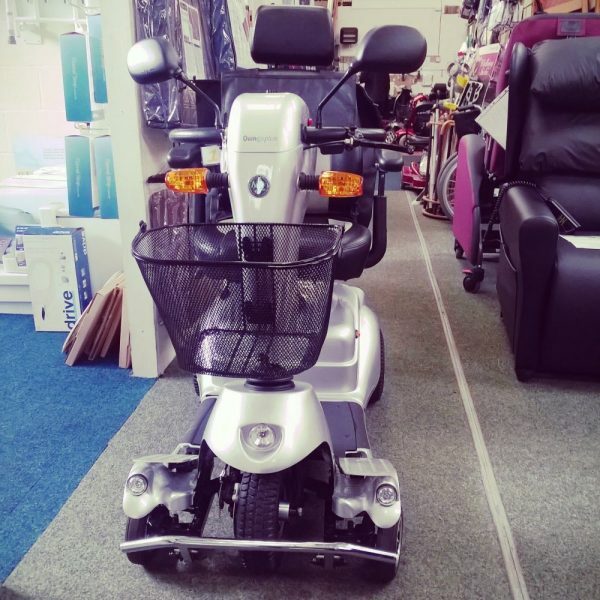 This Quingo Plus is a large reconditioned 8mph scooter, ideal for use on road as well as other outdoor terrain. 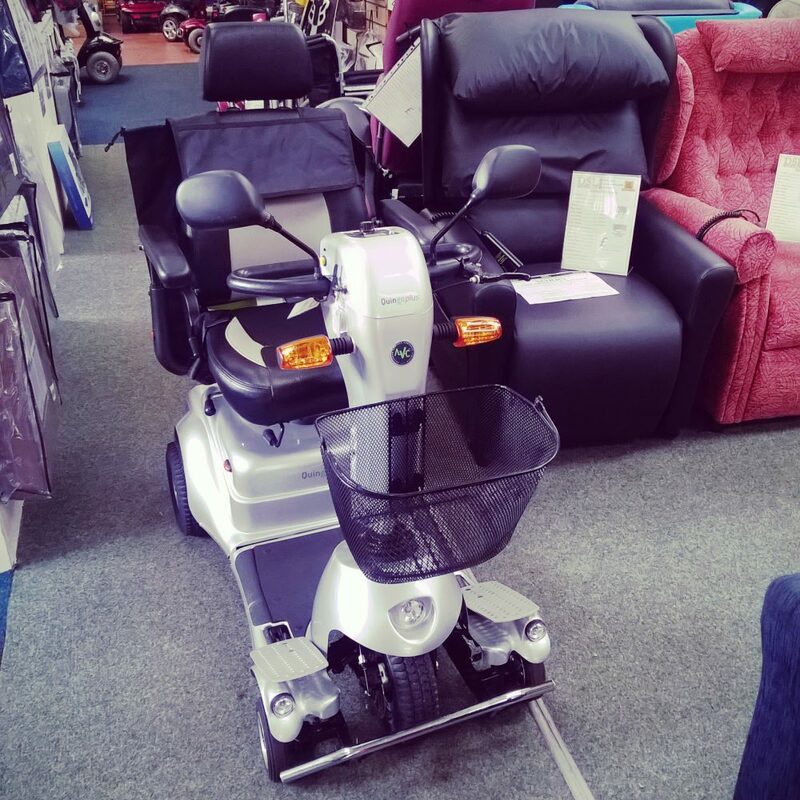 The scooter is fitted with a pair of 50ah batteries that provide a range of up to 30 miles on a single charge. 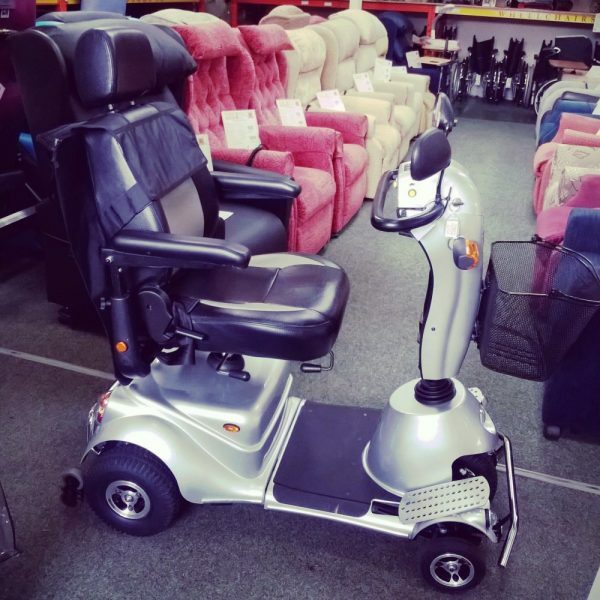 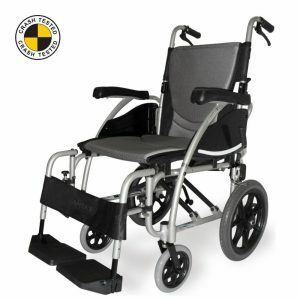 The scooter has a weight rating of 25 stone and features the unique 5 wheel stability system on all Quingos provide the excellent posture and driving position of a 3 wheeler with the stability and safer cornering dynamics of a 4 wheeler. 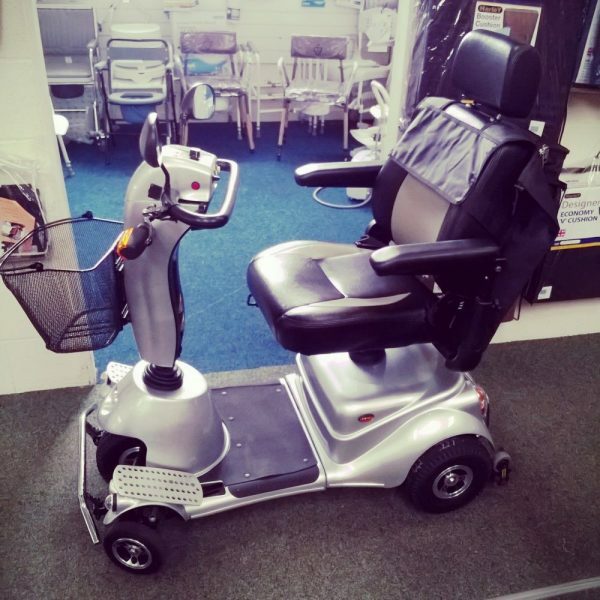 Along with the best possible anatomical driving position all Quingos also benefit from a staggering 80% more foot area than in a comparable length four wheel vehicle. 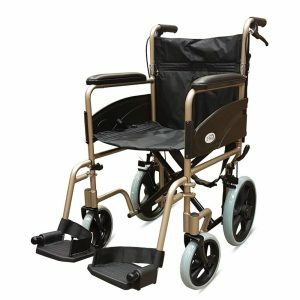 In addition Quintell™ Adaptive foot-plates offer independent adjustment in multiple planes to ensure the most natural and comfortable ride. 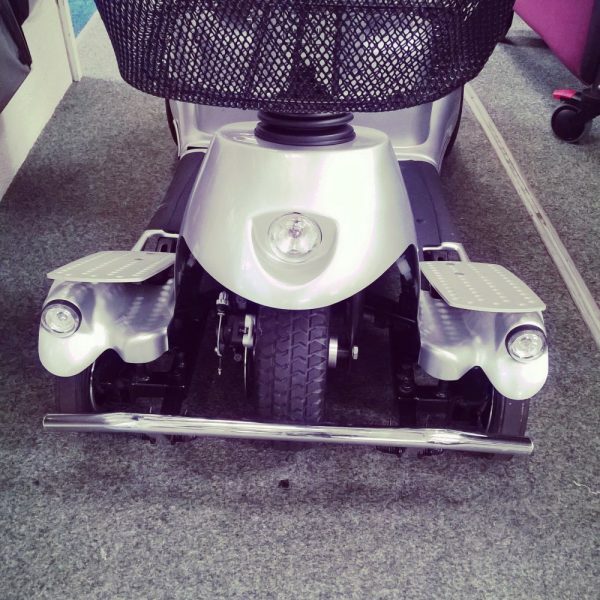 This particular scooter has been fully cleaned, serviced and tested by our Workshop Team, ensuring that it is in its best possible condition. 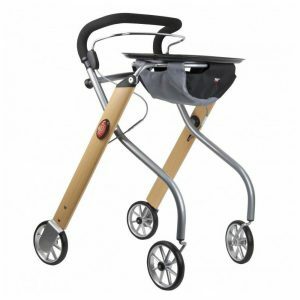 Its batteries have been replaced, and it is supplied with a basket and DSL seat bag. 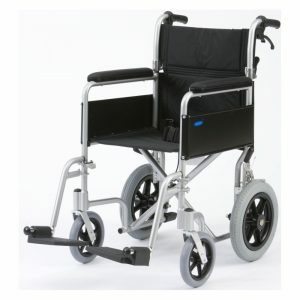 It is silver in colour and features only some light cosmetic damage (scratches, etc). The scooter is guaranteed for 3 months from the date of purchase.